Biolage has developed a more natural formula to protect your coloured hair, so when I got summer highlights I figured that I would give it a shot. Let’s be totally clearly though, it’s not totally all natural. It is vegan with no silicones, sufates and parabens. I was surprised by how perfumed it is for something using the word natural and described as using coconut milk and meadowfoam. It smells more like faux flowers. I wish there was more coconut milk in the scent. 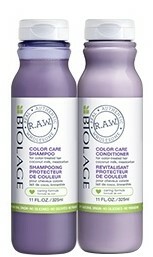 When I was using the Biolage shampoo and conditioner, I was really happy. It was great in the shower. I was excited for the added shine of my new highlights. Unfortunately, this Biolage R.A.W. Color Care Shampoo and Conditioner was not right for my hair. This product stayed on my locks and made them feel heavy and greasy. That’s even more surprising since usually my hair is dry. Greasy hair isn’t something I’m used to dealing with or enjoy. I don’t think this would happen with everyone, but I had to share because this is a rare occurrence with my hair. It seems like the weather in Toronto went from winter to middle of summer in two days. As a result June was hot and sticky and the products I loved the most definitely reflected that. Like my skin, my hair goes a little crazy in the summer. My roots get incredibly oily and itchy and my hair just dries out. 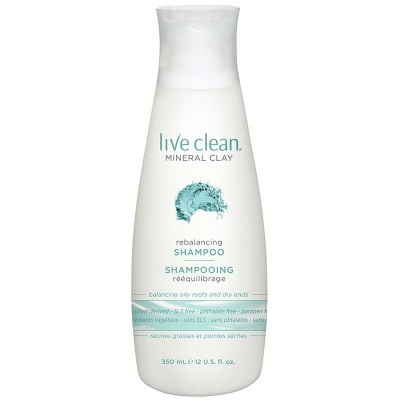 Live Clean’s Rebalancing Shampoo has done a really good job of keeping my scalp itch free while moisturizing my ends. The combination of three mineral clays (Kaolin, Montmorillonite and Bentonite) along with apple cider, witch hazel and tea tree have really succeeded in balancing out my head where other products have failed. There’s a matching conditioner that I use along with it but the shampoo is really the star. 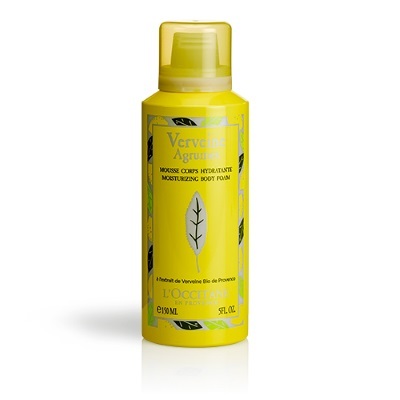 I really look forward to the new verbena products that L’Occitane releases every summer and this Moisturizing Body Foam might be my favourite yet. I’ve used a few body foams in the past but nothing that’s ever blown me away or seemed like more than a gimmick. L’Occitane’s version however is both cooling and extremely hydrating. It’s like a hair mousse in texture and a little goes a long way. The iconic L’Occitane verbena scent is perfect for summer (and keeps the bugs away) and it’s really easy to throw in a bag if you’re going to the beach or on a road trip. I’m generally a matte liquid lipstick person but in the summer I like things a little lighter. This lipstick has insane colour payoff, I got full coverage in one swipe and even when I blotted it down a bit, I still have a ton of colour. There are eight Color Intense shades but my favourite is Brunch, a tawny pink with a hint of coral that comes out when it blots down. 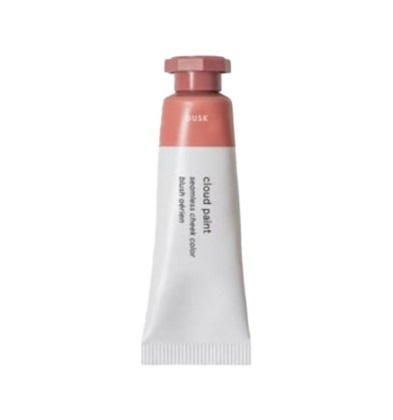 Beautycounter calls this long wearing and while it’s a lot better than some creamy lipsticks, you’ll definitely have to reapply. That said, this lipstick is incredibly creamy and comfortable and there’s peppermint oil in it that keep your lips feeling cool. And I love that Beautycounter doesn’t have a whole lot of crap in their products. Onto another one of my all time favourite products. I love Invisibobble so much that I haven’t used another kind of hair tie in about a year. These keep my hair secure and I don’t get headaches from them like I do with other hair elastics. 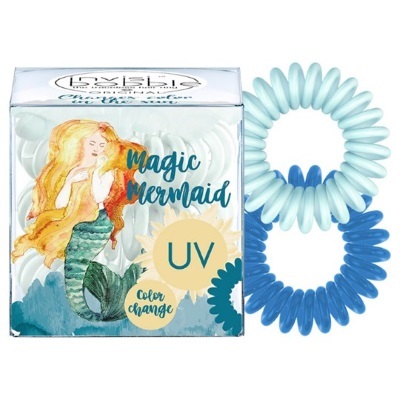 For the summer they’ve released the Magic Mermaid collection that changes colour in UV light. 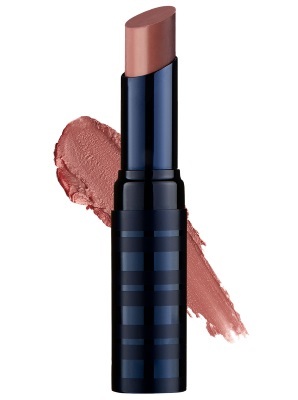 There are two shades; Ocean Tango (light blue to dark blue) and Coral Cha-Cha (pale pink to hot pink). I love the Ocean Tango colours and even though I can’t see it changing colour, it’s fun to know that it does. When the weather is hot, I tend to like a body spray over a perfume since they’re generally lighter. And just in time for summer, Body Fantasies have released Hearts & Daisies, a light, fruity and floral scent. With notes of green apple, pink peony, daisy and creamy woods, this is a great summer body spray. We’re back! I’ve spent the past four month stuck in my house due to illness and it’s been taking a major toll on my skin. But it’s also been doing a number on my scalp. My scalp is dry and itchy all year long but once you add in how dry winter has been in Toronto this year and having the heat blasting constantly, my scalp has gone from dry and itchy to unbearable. I have oily, greasy and itchy scalp with super dry hair. So I was on a mission to find something that would help. 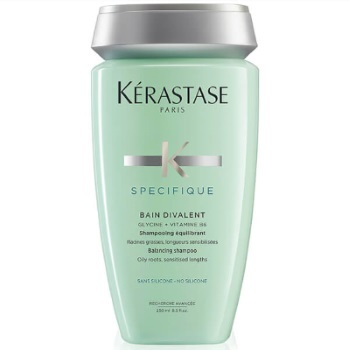 I’m a huge Kérastase fan, so when I heard they were bringing out Spécifique, a line just for scalp issues, I was super excited. Unfortunately most of the products contain soy and I’m allergic, so I couldn’t try anything but this shampoo. Luckily Bain Divalent was exactly what I was looking for. It balances out my oily roots and my dry hair. It doesn’t fix all my scalp problems but it definitely helps with my hair issues that come from them. It’s really light and fresh and smells delicious. I originally got a tiny sample of this scrub from Sephora and the first time I used it, I hated it. 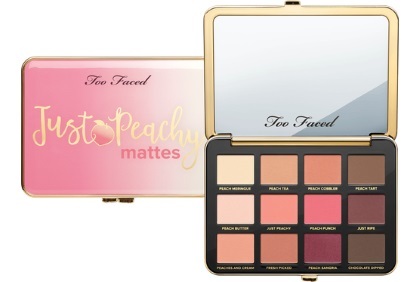 It turns out there’s a learning curve to this one and I ended up buying the full size (the only actual beauty product I’ve bought so far this year). Once you get the hang of how to get this scrub to your scalp, it’s the most refreshing thing your head will ever feel. The walnut shells aren’t too large and the minty scent is cooling. I definitely recommend following up with a different shampoo and conditioner after but your scalp will feel amazing immediately after using this. I’m fairly certain this is going to be one of my staples going forward. Sometimes dry, itchy scalp just comes from sensitive skin and if that’s the case for you, this Oat Delicacy line is hands down the gentlest shampoo and conditioner I’ve ever used. The Oat Milk and Rice Cream blend are super soft and hydrating, while leaving your hair soft and not weighed down. It actually feels gentle when you’re using it. I honestly can’t think of another word for it. I don’t really care for the scent but the results are worth it. I’ve been using Moroccanoil for years but I haven’t tried too many of their other products. Unlike the other treatments I’ve used, this one starts before the shower. You apply this to your scalp in sections, wait up to ten minutes and then get in the shower, rinse it out and shampoo and condition as usual. Since this is an oil, I really expected it to get greasy but it really doesn’t. And the more regularly you use it, the less you’ll have to. 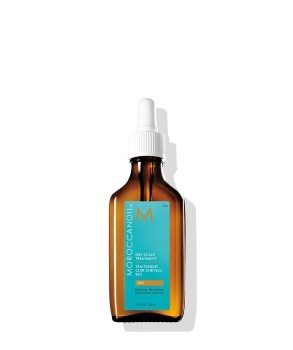 Moroccanoil also recommends this for anyone sensitive to hair colour before they head to the salon to prevent itchiness and to protect the scalp. If you use anything for dry, itchy scalp that isn’t on this list, definitely let us know. We always looking to try something new! Everyone needs the Conair Hot Ionic Straightening Brush at home! If you listen to anything that I say this year, this should be it. 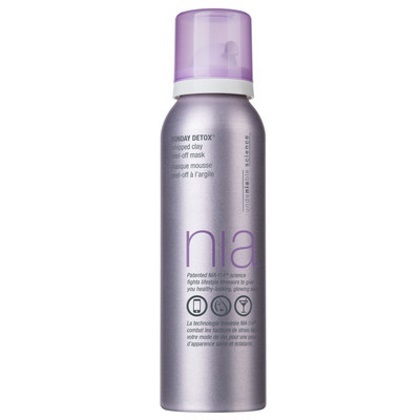 This is without a doubt one of the best hair products that I have ever used. My thick wavy hair is hard to tame on the best of days. When this brush landed on my doorstep, I’d been growing out a haircut that meant my hair was a variety of different lengths. I couldn’t rely on a ponytail. I was frustrated all of the time. Enter this The Conair Hot Ionic Straightening Brush. It looks generally like a regular brush, only you have to plug it in and the bristles are thick and different lengths. I strongly recommend reading the instructions before using, even though it is fairly easy to use. You do have to brush your hair thoroughly with a regular brush before you start with the Conair brush. 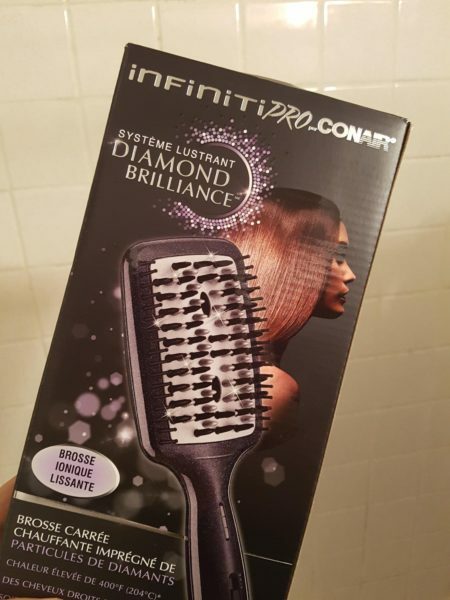 All you have to do to use this hair straightener is brush it through your hair like regular. Be careful to not press too tightly into your scalp. The bristles get hot, so you can easily burn yourself if you aren’t careful. You will see results by just brushing through your hair like normal. 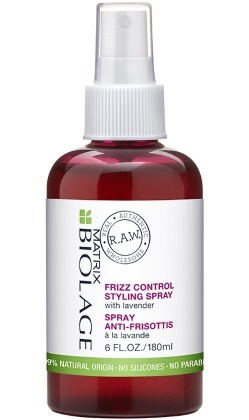 A light brushing will help to smooth and tame frizz and flyaways. If you want straighter hair, just hold your hair at the end and brush through slower. You don’t have to go very slow, just more carefully. Even with my thick hair, it took less than a minute to straighten my hair. This is straight with body too. I didn’t lose the thickness or volume of my hair, just the waves. I even had people asking if I had been to the salon. I used to straighten my hair maybe once every two weeks. It was something that I did when I had some extra time. Now that I have this brush, I can go from curly to straight whenever I want. This is by far my favourite tool that I have ever used! Buy one for yourself, buy one for a friend, everyone needs one! 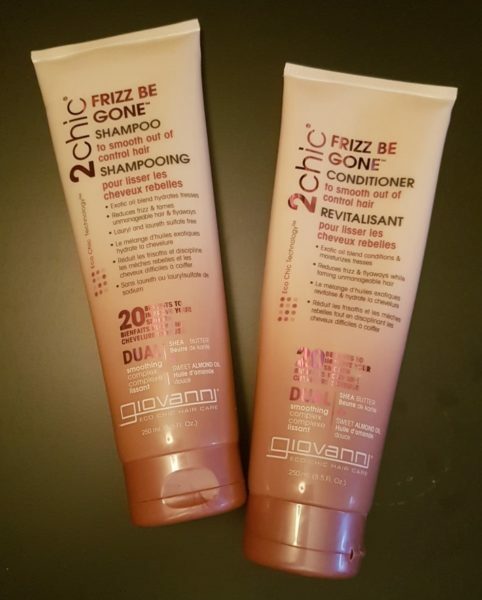 I tend to be skeptical of frizzy hair shampoo and condition, there’s nothing that the 2chic Frizz Be Gone could say before using it to make me a believer. This line is packed full of Shea butter and almond oil to try to help with maximum moisturizer and shine. While 2chic hasn’t completely changed my view, it is a good shampoo and conditioner. My hair definitely looked smoother after using it. It felt a bit more manageable than usual. There was still some winter frizz happening, but at least I started off on the right foot. 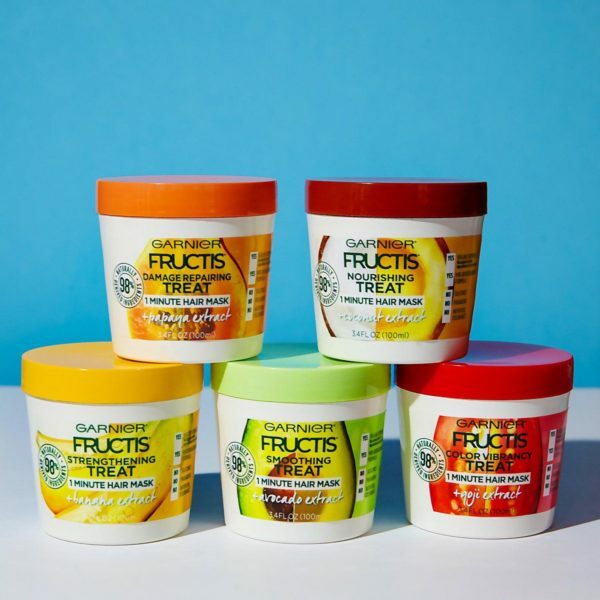 I’m interested in trying some of the other products in the line to add on to my hair smoothing power! 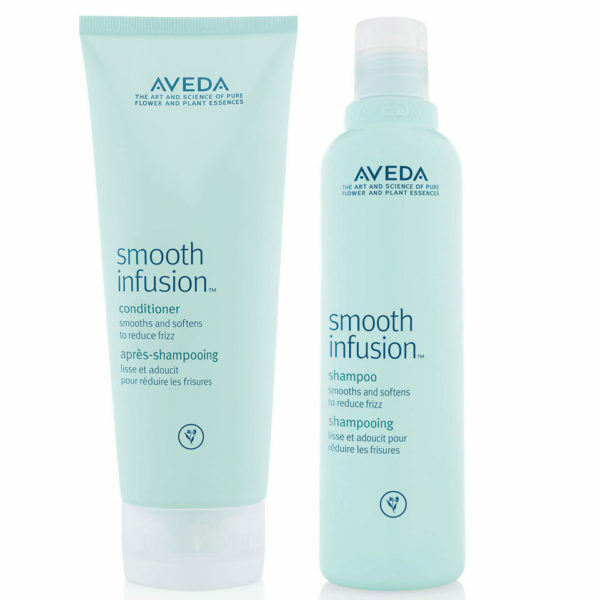 Aveda Smooth Infusion Hair Care – I have fought with my curls for my whole life. With this collection from Aveda, I don’t need to fight with them anymore. This smoothing hair collection helps my hair stay smooth through every element. 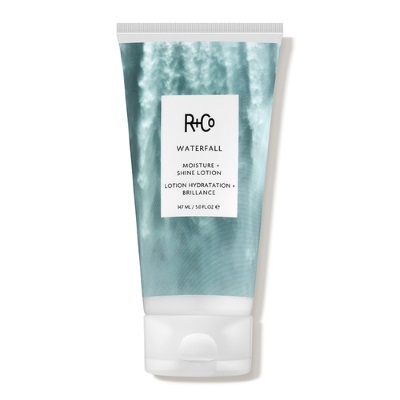 My favourite part is the Naturally Straight cream, which loosens curls for a straighter and smoother look with every use. It’s like the answer to all of my wishes. 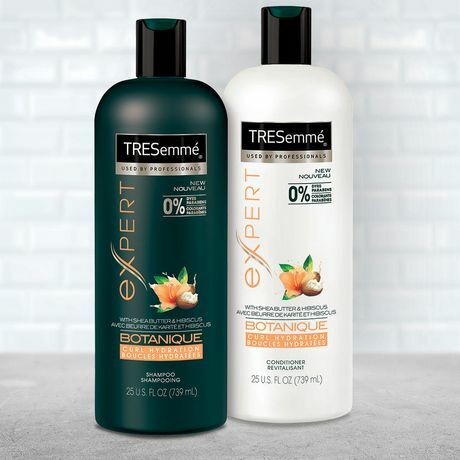 TreSemme Botanique Curl Hydration Shampoo & Conditioner – You will feel like you are at the salon when you use this shampoo and conditioner combination. Even the smell reminds me of getting my hair professionally done. This shampoo and conditioner is packed full of shea butter to help nourish dry curly hair. It turned my frizz into thick curls instead. My hair felt surprisingly hydrated and moisturized after using this regularly. Now all I need is someone to give me a scalp massage too. 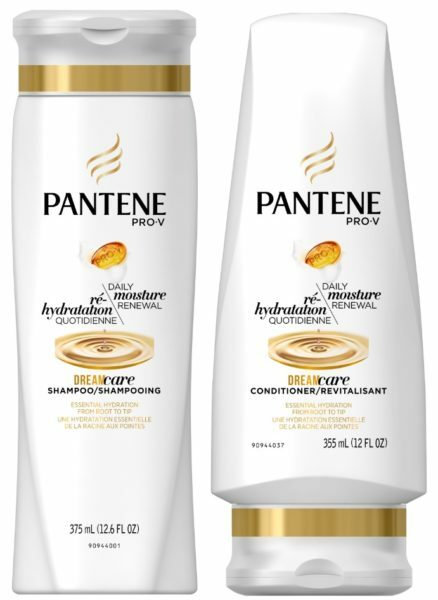 Pantene Pro-V Dream Care Shampoo & Conditioner – If the summer sun is making your hair dry after days on the beach, this hair care duo from Pantene is here to help. There are deep conditioners and masks to go along with this regular shampoo and conditioner set, but I found I didn’t need it. My hair felt more hydrated and silkier just using it. Bonus points that it’s easily and readily available, so you don’t have to hunt out niche product. 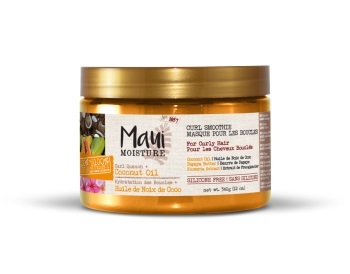 Maui Moisture Curl Quench + Coconut Oil Curl Smoothie – If you are looking for something to give serious moisture and definition to your curls this is the product for you. It’s packed full of coconut oil, so you know it’s going to leave your hair feeling sleek and soft. It even helps define your curls too. Warning though, it can get a bit greasy, so use lightly and less is more. 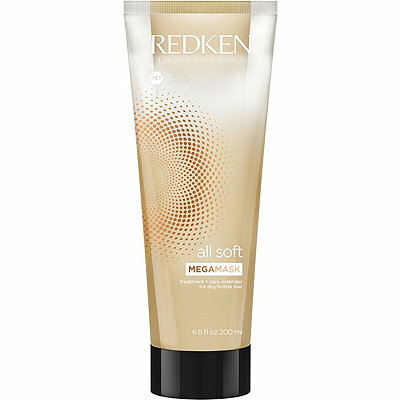 Redken All Soft Megamask – I mentioned that my hair was super dry this summer, so I took it to the next level with this mask. 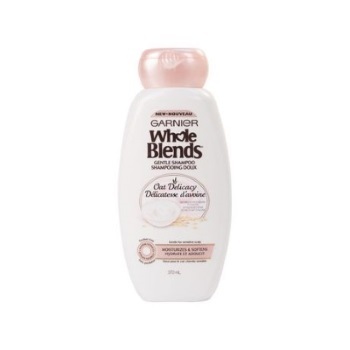 It has been perfect for between shampoos to keep my hair moisturized. Make sure that you press the container on the target on the back because this mask has a cream and oil element. If you don’t press in the right place, then you won’t get the right mixture. What you will be left with, if you have curly hair, is refreshed locks and curls that actually behave…. For now. 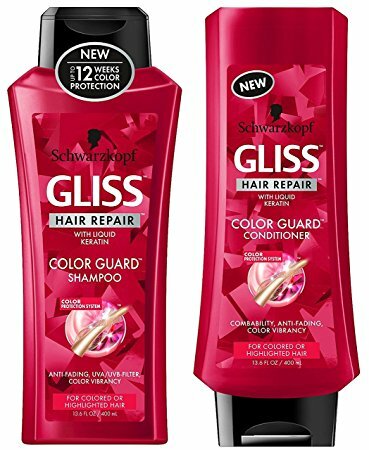 I recently dyed my hair a daring new colour and wanted to make sure it lasts as soon as possible, so I turned to the hottest new hair care line in stores, Gliss. This new line of shampoo and conditioner promised to protect my colour from fading and keeping it brighter for longer. Using Gliss Color Guard didn’t feel any different from any other regular drug store brand. It was only when I stopped using Gliss that I noticed a different. I switched back to my other brand of shampoo and within a week or so, I noticed that my colour looked faded. It wasn’t as bright and vibrant as I was used to. Check out our review for some of the other Gliss Hair Care lines for more reviews on their many different types of shampoo and conditioner.